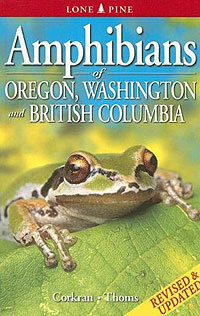 The revised edition of Amphibians of Oregon, Washington and British Columbia is a handy field guide for you—the gardener, along with biologists, or parents who want to teach their children the natural world around them. As a local guide with well-illustrated photographs, drawings, range of species maps, identification keys and confusing species comparison tables, the book simplifies distinguishing between the species of frogs, toads, salamanders and newts that we find in the Pacific Northwest. This field guide is not going to tell you how to grow an amphibian, in fact it’s not about the flora, and it’s all about the fauna. Why am I reviewing a non-gardening book on a gardening site? In my attempts to provide more habitats for wildlife, I find more species sharing my space. Learning more about them increases the enjoyment of my garden. Many people purposely keep their properties wildlife friendly, adding water features, or creating gardens that invite them in to share the space. Field guides of local fauna help increase our awareness of the creatures that live within our boundary lines. With so much of their natural elements destroyed, we can help restore their habitats within the confines of our property and garden in amphibian friendly ways. This field guide provides habitat preferences of amphibians, tips for finding them, their activity through the seasons, guidelines for handling them, photography tips, comparison tables for similar species and their current status. 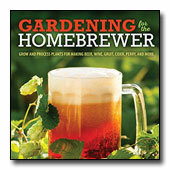 This book should be nestled in with all your garden books on your bookshelf.